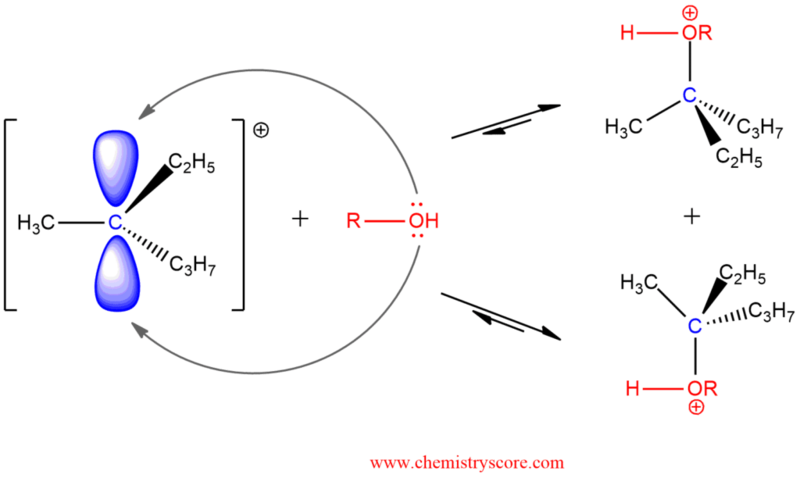 Alkyl halides can be converted to ethers when dissolved in alcohol solvents through an SN1 reaction. 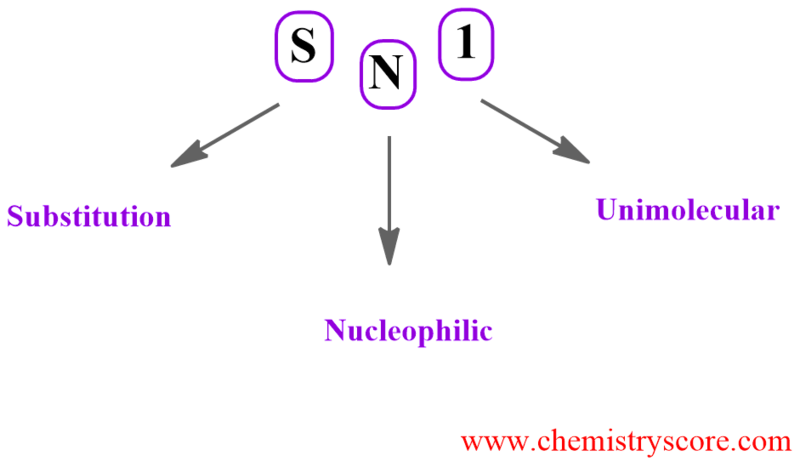 The SN1 mechanism is a stepwise process in which a loss of the leaving group to form a carbocation intermediate followed by a nucleophilic attack on that carbocation intermediate. The rate of the overall process is determinate by the step with the highest energy of the transition state, and that is the slowest step in the sequence. As only one molecule (unimolecular substitution) affects the rate of the reaction, this will be a step in which only the substrate (in this case starting alkyl halide) takes part. It is true that the nucleophile must be present in order to obtain the product, but an excess of the nucleophile will not speed up the reaction. The order of reactivity is reversed from that found under typical SN2 conditions. 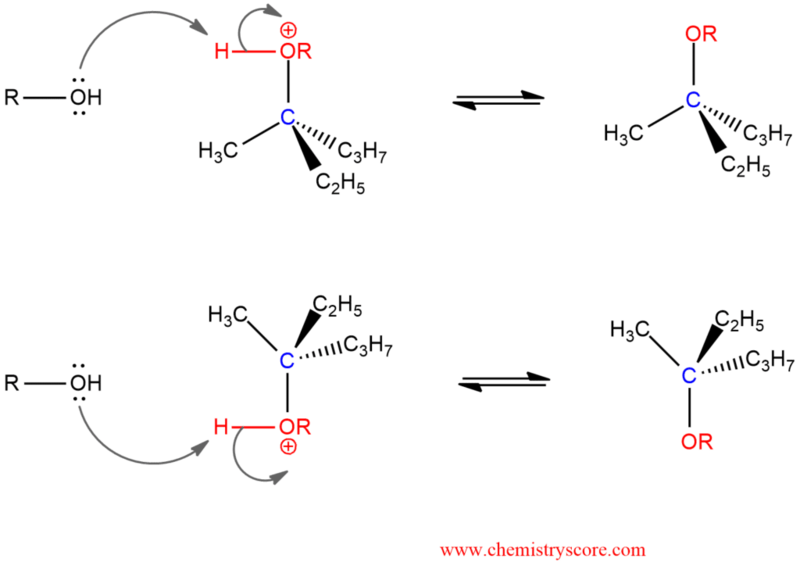 Thus, tertiary halides, whose steric hindrance prevents them from undergoing SN2 reactions, transform solely by the SN1 mechanism, primary alkyl halides only by SN2, and secondary halides by either route, depending on conditions. This also applies to carbocations. The alkyl group donated electron density to the electron-deficient center and thus stabilized it. This explains the most stability of tertiary carbocation. STEP 1. This is rate-determining step in which loss of the leaving group will produce a carbocation. This transformation is an example of heterolytic cleavage. STEP 2. Nucleophilic attack of alcohol can be carried out from both sides of the planer structure of carbocation. STEP 3. Deprotonation produces a racemic mixture, but the ratio of enantiomers is not equal. A slight preference is for the enantiomer resulting from inversion of configuration. All three steps of the mechanism of solvolysis are reversible. The overall equilibrium can be driven in either direction by the suitable choice of reaction conditions. Thus, a large excess of nucleophilic solvent ensures complete solvolysis.